If you are looking for a lighter, smarter, serve longer and more powerful vacuum cleaner, your search is done. With a slim, lightweight body and a 2000mAh battery, ZIGLINT Z5 is a 2-in-1 cordless vacuum cleaner which runs for up to 40 minutes. The appliance has an impressive 8000PA suction, with what no dust can hide behind. 3 cleaning tools includes 1 motorized floor head, 1 combination brush head and 1 crevice tool are able to reach any place and glide across most kind of surface. Moreover, the battery is rechargeable and removable for your convenience. 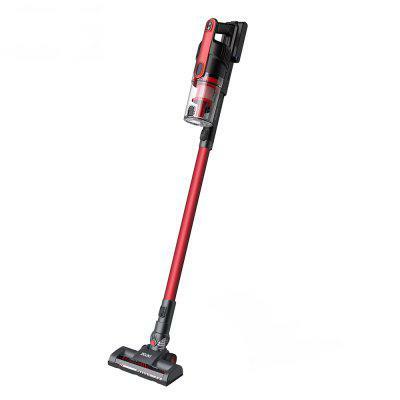 Want to be notified when the Ziglint Z5 Cordless Stick Handheld Vacuum Cleaner gets even cheaper? Make sure you snag the best price by entering your email below. We'll email you when the price drops, free! We're tracking the price of the Ziglint Z5 Cordless Stick Handheld Vacuum Cleaner every day so you know if that deal is really a steal! Check back for to check the best price for this product - and whether its current sale price is really the cheapest it's been! No Ziglint Z5 Cordless Stick Handheld Vacuum Cleaner coupons found!